In this video, Bree Dillow and Ruth Soukup (NY Times best-selling author, Entrepreneur, Mom and all around an amazing wonder woman) walk us through the success of Ruth’s online course, the Elite Blog Academy, and the story behind its success. Back In 2010, Ruth started her first blog, Living Well Spending Less. Soon after starting she realized she had a passion for blogging and was determined to make it a success. Today that blog generates over a 1.5 million readers every month and has come a long way from where it started, to say the least. Starting a successful online course often doesn’t just happen overnight. You’ll find out Ruth’s best advice she has for anyone looking to start an online course, membership site and some of the hard lessons they’ve learned after multiple online product launches. 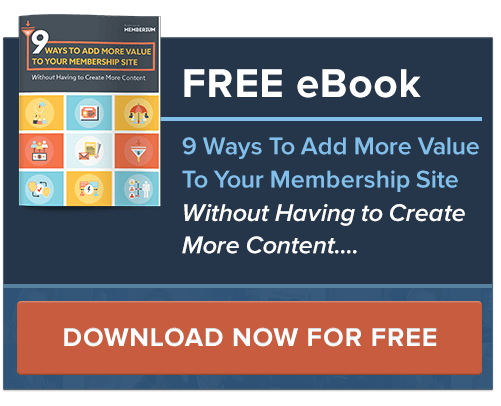 You’ll also get inside look at how Bree and Ruth transitioned from CustomerHub to Memberium, how they designed their online course, how they used Memberium to create a custom affiliate resource site and much more.